Like NewsSense, Deems is a free blogger template based from WordPress 3 columns template. It’s deemed magazine-styled layout sporting tabs, slideshow, drop-down menus and post-thumbnails. You gonna love the two right sidebar perfectly sized for advertisements and easy-impressions links for your blog. MusicStore is an excellent layout for music blogs. The free Blogger template shadows another 2 columns WordPress creations featuring slideshow, drop-down menus, post thumbnails and footer columns. At this time, Blogger developer seemed stepping up for layout and functionality giving the sense that you can never tell which is running in WordPress or Blogger platform. Moda is a free premium blogger template adapted from WordPress with 2 columns, left sidebar and slideshow. Excellent layout for blogs about fashion. Svetlina is a free premium blogger template adapted from WordPress with 2 columns, right sidebar, magazine-styled, space for ads and slideshow. Excellent layout for blogs about cars. True Crimes is a free blogger template adapted from WordPress with 2 columns and right sidebar. Excellent layout for blogs about halloween. 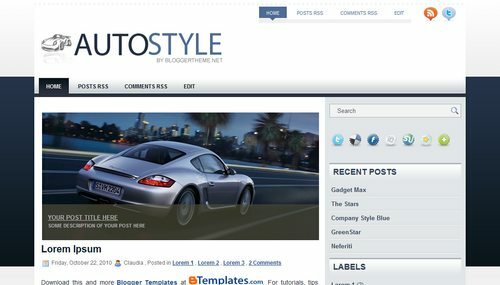 Auto Style is a free premium blogger template adapted from WordPress with 2 columns, right sidebar, magazine-styled and slideshow. Excellent layout for blogs about cars. 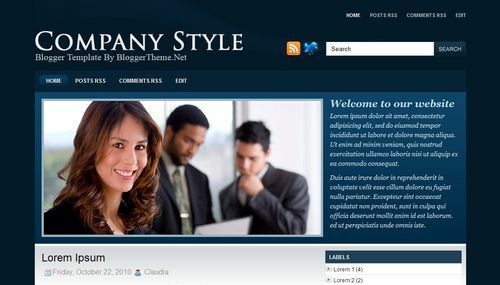 Company Style Blue is a free blogger template adapted from WordPress with 2 columns and right sidebar. Excellent layout for blogs about business. 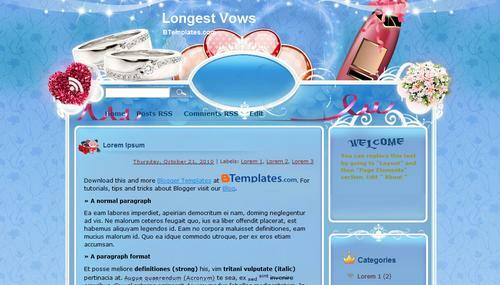 Longest Vows is a free blogger template adapted from WordPress with 2 columns, right sidebar and rounded corners. Excellent layout for blogs about st. valentine. Stargaze is a free premium blogger template adapted from WordPress with 2 columns, right sidebar, magazine-styled, space for ads, footer columns and slideshow. 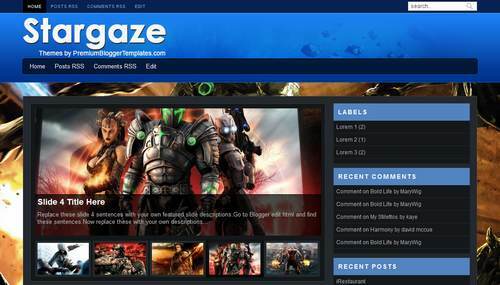 Excellent layout for blogs about games. 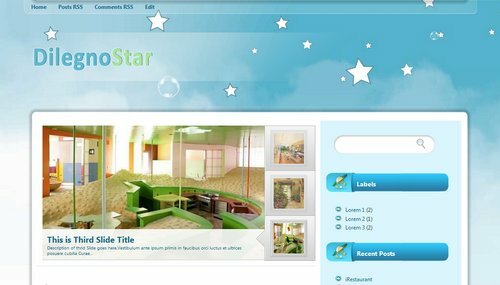 Dilegno Star is a free premium blogger template adapted from WordPress with 2 columns, right sidebar, rounded corners, footer columns and slideshow. Excellent layout for blogs about nature.